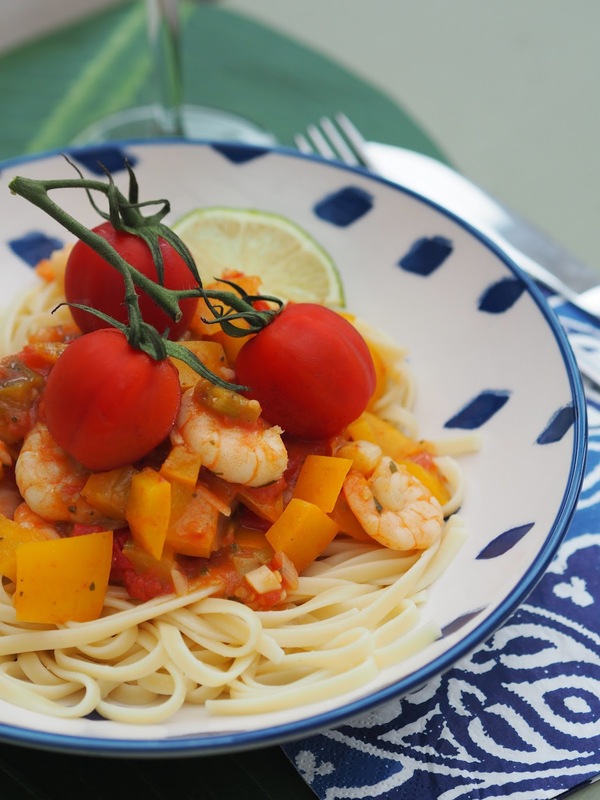 Today I'm sharing with you one of my favourite recipes, Prawn Linguine. This was my go-to meal whilst at university, it was so quick, full of fresh flavours, very delicious and super filling too. When Inghams got in touch asking me to share a recipe from one of their gorgeous Lakes & Mountains holiday destinations for their 'Foodie Finds' campaign, I saw Italy on the list and knew exactly what I'd make. 1. Wash your vegetables. Dice the tomatoes, pepper and spring onions and put into a bowl. Crush a clove of garlic, a pinch of salt and pepper and a big squeeze of the lime and mix together to cover the vegetables. I also add about a shot of water at this point, as it can be a bit dry without, but it's not a 'sauce' so don't go overboard! 2. Put your linguine in to a pan of boiling water, stirring occasionally. 3. Just before your pasta is done, toss your big bright bowl of veg into a pan with a little bit of oil and heat it all through. The veg should start to soften, if the liquid looks like it's drying up then add a dash of water with a little extra salt, pepper and lime to keep the flavour. 4. Once your pasta is done, take it off the heat. Add your cooked prawns to the veg, so they heat through. Whilst they cook, drain your pasta. 5. Take your veg and prawns off the heat and serve! and there you go! 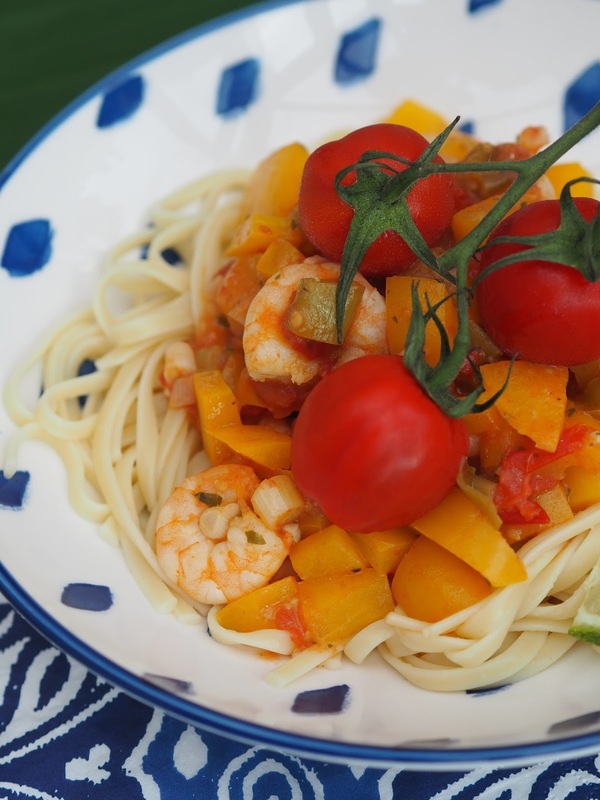 A delicious, fresh and easy Prawn Linguine recipe! It's perfect for just a quick dinner at home or even perfect for entertaining at a dinner party. I was not paid to write this post, just a bit of fun for the Inghams Foodie Finds campaign.